Happiness is the feeling I got today when I fit into the dress that first caught Troy's eye before we dated...and that is after 3 kids! Since I started this program I have gone from a size 11/12 to a size 4/5! I'm on day 63, so here's to the next 27 days! With my scale being stuck at 141.4, I decided it was time to kick it up a notch! I was reading my Fitness Magazine and a program called Supreme 90 Day was mentioned. It was compared to the P90X program, which I wanted to try, but not for the hefty price of 150 bucks! Supreme 90 Day is only 20 dollars and you get 10 DVDs, a little chart to tell you what exercise to do, and a nutrition program booklet. That's a lot for only twenty deniros! Plus, the workouts are only 30-45 minutes. Basically, the program uses different workouts to create muscle confusion so you get more results in 90 days. I have never worked out so hard in my life! I'm now on day 22 of the workout and I see a difference. 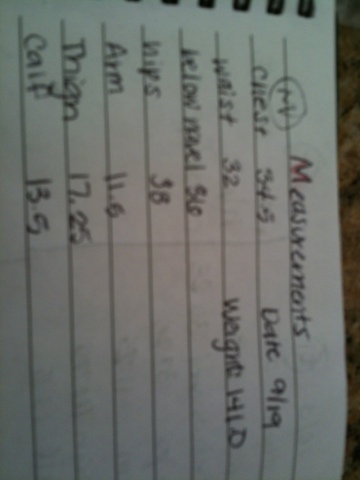 I've lost almost an inch and a half in my waist alone! 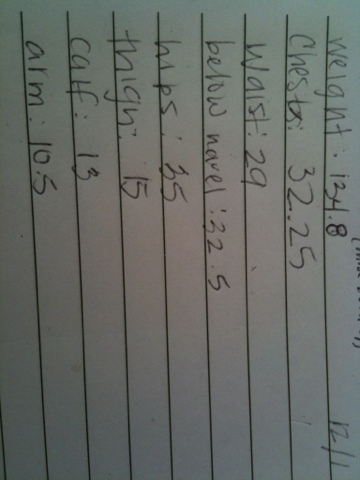 I wasn't seeing the scale budge, which I've heard is normal, but I adjusted my caloric intake and that seemed to help. After two months of the scale not budging, I finally got to see 140 this morning! HEEELLLLOOOO 130's!!!! I am fitting into clothes I haven't fit into in a very long time! I'll be bringing you regular updates and some before/during/after photos as well! You can buy the program at Walmart, Walgreens, or on Amazon.com. ...after having my third child. I am forty pounds lighter than I was after having my first. That feels good. Really good. I weighed in this morning at 147.6. That is pretty much the same weight I was when I got pregnant with my third little one. That feels good too. Now I have a new goal in mind and that is to get back to the weight I was when I was dating Troy. 125 is my new magic number. I understand that after having three kids that things are...ahem...well, let's just say that things are proportioned differently. 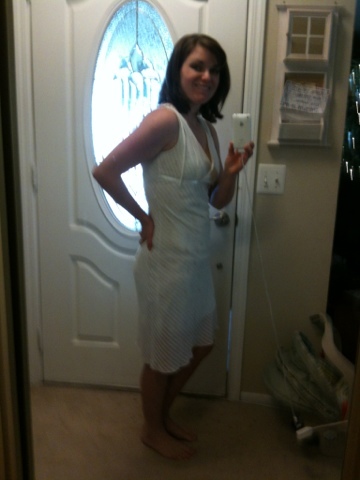 :) I'm looking forward to getting into shape and staying that way, as this past pregnancy was my last. So here's to being fit for the rest of my life!